Boerne Air Conditioning Experts provides high quality service for AC replacement and repair in Timberwood Park, TX and the nearby communities. 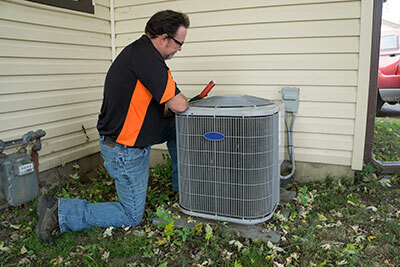 In our experience in the HVAC service industry, we’ve seen that air conditioners can last for many years. If your air conditioner is finally reaching the end of its functional lifetime, or you’re simply interested in upgrading your AC system for greater comfort or energy efficiency, AC replacement is a straightforward process. Understanding how to evaluate your options and select an air conditioner that is right for your needs will ensure you enjoy your purchase for many years to come. The first thing to consider when deciding on a replacement AC unit is size. Just as homes are available in many different sizes, air conditioners are sized to provide cooling for different volumes of space and the number of occupants in the home. Your air conditioner’s cooling capacity will determine several important factors, such as its ability to effectively cool your home and the amount of energy it takes to produce cool air. Bigger is not always better—an oversized air conditioner will consume more energy than necessary, while often producing poor results in terms of cooling and humidity control. Similarly, trying to save money by purchasing a smaller air conditioner will also affect its energy usage and cooling capacity, as an undersized air conditioner will work longer and harder without producing the results you want. If you aren’t sure which size air conditioner is right for your home’s needs, talk to one of our professionals about determining the unique characteristics of your home and how much cooling your new air conditioner will need to provide. The next factor in your decision process should involve energy efficiency. All air conditioners consume energy in the process of removing heat from the air for home comfort. Air conditioners that are more efficient are better at turning energy consumed into cooled air, reducing the energy needs and financial costs of cooling your home. All air conditioning units are given a SEER rating (Seasonal Energy Efficiency Ratio); the higher a unit’s SEER number, the more efficient it is in terms of energy consumption. Federal regulations require that all air conditioners currently sold in the United States must have a minimum SEER value of 13; however, air conditioners are available with SEER ratings well in excess of this value. Although the initial cost of an air conditioner will depend on its SEER value, with higher-efficiency units costing more upfront, it’s important to keep in mind that the energy efficiency of a unit with a higher SEER value will help to offset its purchase price over the course of its functional lifetime. Our team at Boerne Air Conditioning Experts recommends purchasing an air conditioner with the highest SEER value you can comfortably afford, to gain the most benefit in terms of energy savings when you install and begin using your new air conditioner. Lastly, you should also take into account whether your ductwork is equipped for single room vs. multi-room. Although the cost of installing ductwork to enjoy a central air conditioning system can be excessive, newer “ductless” mini-split systems can be installed for multi-room cooling using only a small hole in the exterior of your home, typically just three inches in diameter. 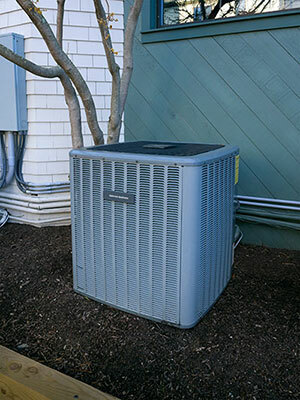 For more information on the factors to consider when deciding on a replacement AC unit, contact our staff at Boerne Air Conditioning Experts.